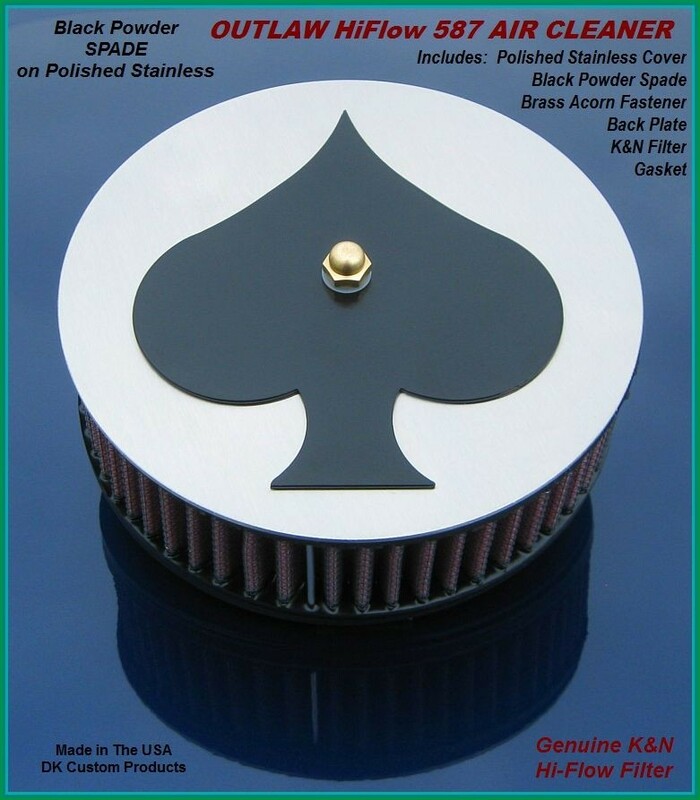 Emblem Size: 5" x 4.25"
The Outlaw HiFlow 587 Air Cleaner is designed for INTERCHANGEABLE Face Plate Covers AND Emblems. 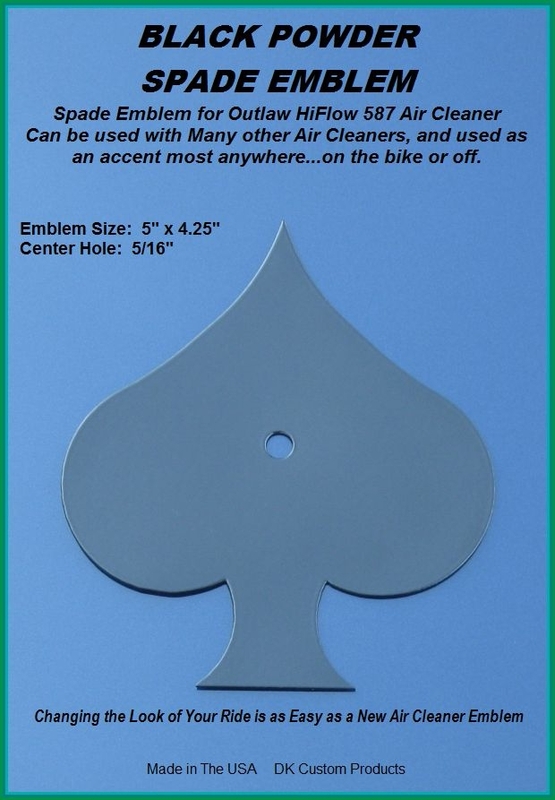 The Emblem will also fit many other air cleaners, it can be used as an accent piece on the bike, or off. It can be affixed to most anything using the center hole or the provided double-sided emblem tape, or both.